If you and your partner are currently experiencing fertility problems, it’s advisable for you to both be as healthy as you can in order to maximise your chances of conception and childbirth. Research conducted by the NHS has linked having a healthy BMI (body mass index) of between 20 – 25 to a couple’s overall chances of conceiving; if one or both of the couple fall above this weight level then their fertility journey can be adversely affected. Obese women are less likely to become pregnant through IVF and assisted reproduction as carrying excess weight can affect the function of the ovaries, due to changes in hormones and metabolism rate. They also have less success with assisted fertility treatment because of the poor response to fertility drugs that stimulate ovulation. The same can be said for being underweight, as this can also affect your hormone levels and therefore impact on your fertility. Maintaining an optimum weight is good for both partners experiencing infertility, and this has been the current focus within NHS proposals. In the South West of England, they propose to refuse NHS funded IVF treatment if the male partner has a BMI of 30 plus, as this is classed as medically obese and could affect fertility chances. The proposal by the clinical commissioning group is to change NHS funded fertility treatment policy to ensure men get to a healthy weight, before the NHS fund investigations and fertility treatments with their partners. Whilst your BMI is important, your body fat percentage is the vital element when it comes to your reproductive function. The BMI measurement is based on height and weight, but it doesn’t distinguish between fat and muscle meaning that if you are an athletic male you can carry a lot of lean mass, giving you a disproportionately high BMI compared to your actual health and levels of body fat. The best way to measure body fat percentage is with a skin-fold calliper, with measurements usually taken at your waist, hip and neck, as well as other areas of your body. Once you determine your body fat index, you can then track your weight-loss progress if needed as unlike using standardised scales, it tells you how much of your weight is fat and how much is muscle. So be sure to measure your basal body temperature and track it on a basal body temperature chart to see if you’re ovulating. If you’re overweight reduce calories gradually in order to reduce your BMI and get fertility fit. A combination of cardio and strength exercises, that builds up tolerance slowly and not too vigorously to the point of exhaustion should form the core of your exercise. For men don’t over heat the testicular area, as this can temporarily cause low sperm count. The testicles secrete male hormones and also help in sperm production, and for the testes to function properly they need to be cooler than rest of the body. That’s why the testes are anatomically structured to hang outside the body. The ideal temperature for sperm production is around 34.5C, which is slightly below body temperature (around 37C). If the testes are exposed to high temperatures, then the increased heat could kill the sperms and cause low sperm count. Whilst exercise makes you feel good it can affect your fertility, so you need to find a balance between under or over exercising in order to optimise your own body’s functions. So, if you need to lose a few pounds, or gain a few, it’s important to review your lifestyle, diet and exercise levels in order to get healthy and boost your fertility. 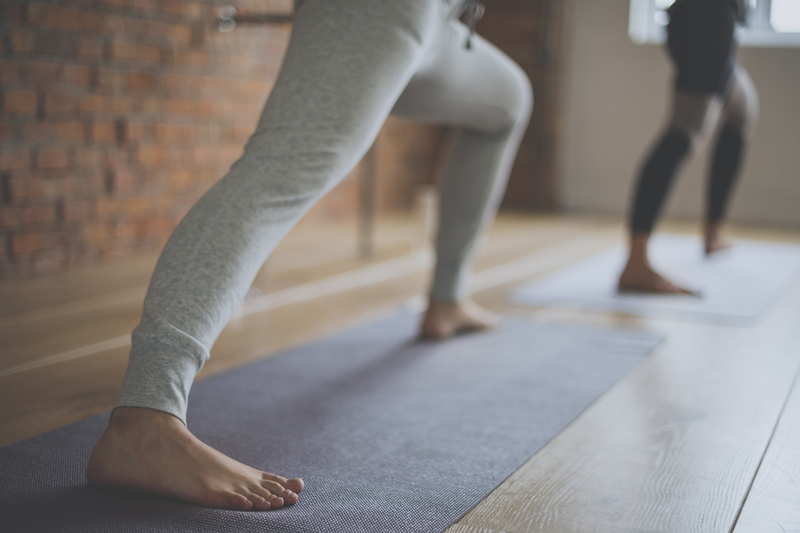 If you would like to know more about what types of exercises you can practice in order to get fertility fit, you can read this blog post which will provide you with helpful tips.